That’s all it took for Melbourne to completely overwhelm the Bulldogs in the third quarter at the MCG yesterday after they hit the front in the opening minute of the second half. Seven successive goals and a total of eight straight for the quarter and the Doggies were reduced to a mere shadow of a team that won a premiership not even two years ago. The question is whether the Demons can now produce something similar as we near the end of season 2018? It remains to be seen as a log-jam of teams are fighting for those final spots in September, so every win is critical. The MFCSS started even before the first bounce with the news that Jack Viney had withdrawn from the side with a foot/toe injury that sounds very similar to hid situation nearing the end of last season ... great! Well, the opening quarter, in fact the opening minute was something never seen before. The Demons gained possession and handballed, retreated and went backwards towards the Bulldogs goal. Not a single opposition player touched the ball until the resultant free kick for deliberate point meaning they managed to get a kick and goal despite not having a possession! Incredible! It is any surprise Melbourne supporters suffer this dreaded syndrome? In fact the first half was a similar outcome as Melbourne continued to gift the opposition chances and goals which kept them in the game. The statistics were mounting, as the Dogs outdid the Demons in about every aspect of the game. More kicks, possessions, marks and tackles. Melbourne was falling behind in all critical areas yet held a three point margin in its favour at the main break - not enough to arrest the foreboding fears of those of us in the Outer. Then it happened. Fifteen minutes of ruthless, straight forward, no nonsense football from the Demons and it was all over. Max Gawn took complete over the ruck, driving the ball relentlessly into the waiting hands of Angus Brayshaw and Clayton Oliver. They then took it upon themselves to drive the ball long into the forward line, instead of trying to run it through the defence and it worked a treat seven times in a row - all in a 15 minute stretch. With Jesse Hogan and Tom McDonald as marking targets, the score from their boots mounted. The crumbers in Charlie Spargo and Jeff Garlett were also able to get in on the act. Another four goals in the final quarter rounded out the day nicely while the Dishlickers could only manage a single goal in the last. A fifty point margin, from only a half of football and all that in the week following the after the game in the heat and humidity of the Top End when the team is supposed to be run down and tiring toward the end of the match. But it didn’t look that way yesterday. Still, without being too negative, it is still possible to have lingering doubts about our abilities against better sides. There are too many players who are getting a game, but not contributing for the full 100 minutes. Mitch Hannan came in to replace Jack Viney, but he disappeared for long periods in the game. Jay Kennedy Harris had a shocker of a first half and Casey was beckoning again, but he redeemed himself somewhat in the second. Garlett was unsighted for long periods, but bobbed up enough to score a couple of goals, but is this sustainable? Bernie Vince was Bernie and did some good work along with some pretty ordinary work. If the team is to have a serious crack at September, then these types of players need to produce more - and produce it for the whole match. Against the likes of Richmond and others, they would get exposed in a big, big way. But the difficulty is who is knocking the door down at Casey? More of the same sort of players. The defenders did a good job again this week, with Sam Frost, Neville Jetta and Oscar McDonald proving to be solidly reliable. All repelled attacks when it all depended upon them, and nothing more can be asked of them. Michael Hibberd returned to some of his better form and Christian Salem was sublime with his delivery out of defence. 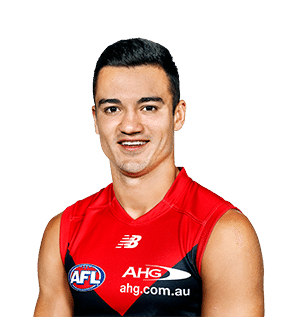 But it was the mids which really excelled, with Brayshaw a standout. His 38 disposals, 16 contested and 6 clearances set the tone for the match. Oliver with 34, 17 and 5 was just behind him, but having this pair working together was a sight to behold. And given their relative youth, the future looks very bright, as they came up against serious opposition mids in McRae and Wallis, who got lots of touches, but were certainly not as effective. We mustn’t forget Bayley Fritsch who has been an absolute revelation with probably the surest pair of hands in the side in this game, including above his head and on the ground. He tops it off with silky delivery, so given this is his first season, to have reached this level is a positive accolade for the club’s recruiting and development. And now comes the hard part. Geelong and Adelaide away from home. Two sides that like us are in that mix in the bottom half of the eight, and wins are just as important to them as it is to us. Are we up to it or are our efforts a mere 15 minutes of fame and nothing more? The proof will be seen in these coming weeks, as these are exactly the sides we could face in September. The healthy ego of Paul Roos and our current plight. Viney to miss a couple of weeks. Get Adem Yze back to the Dees.